Executors must maintain records of accounting and other required documentation as part of their administrative duties. Failing to do so might result in estate administration errors, and related damages or losses may be personally held against the executor. 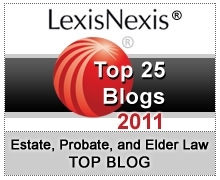 While every estate is unique and some estates involve assets with unusual tax or reporting requirements, most probate estates in North Carolina typically involve an assortment of common forms. Application for Probate and Letters - For the executor named in or other qualified individual applying to administer the estate of a decedent who had a will. Application for Letters of Administration (Form AOC-E-202) - For personal representatives or administrators serving where the decedent did not have a will. Affidavit of Domicile – Proves the decedent’s state of residence. Affidavit for Collection of Personal Property of Decedent (Form AOC-E-203A) – May be used to administer certain small estates. Gathering the necessary forms is only part of the administrative process. The executor must ensure these forms are error-free and filed timely. Individuals settling estates in North Carolina can schedule a meeting with a probate attorney to review forms and discuss tax implications.